Archie Bunker’s best friend, Stretch Cunningham, died unexpectedly of a heart attack, and he is asked to give a eulogy. Feeling he is over his head, he enlists his son-in-law, the Meathead, to help him write the eulogy. Mike himself is an atheist, but Archie convinces him to include mentions of Jesus Christ, trying to be sensitive towards Stretch’s faith. What Archie does not know is that Stretch was Jewish. 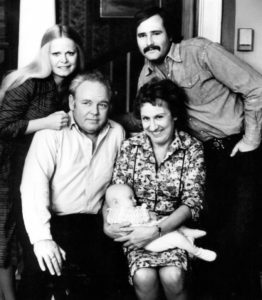 The show, “All in the Family,” famously dealt with social issues. 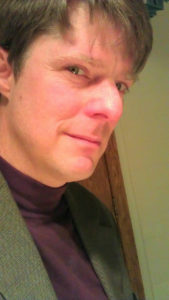 Racism was among the regular topics. They wrestled with black-white relations, anti-Semitism, and related concerns. But Stretch was his best friend, making it all beyond mere tolerance. He loved Stretch. When Archie approaches the podium, he realizes his written eulogy is inappropriate and does his best to adjust. He wings it in a very Archie Bunker style. What he really came to say comes through, and that is that Stretch was a good friend and that he’ll miss him. Edith is deeply touched, knowing that beneath Archie’s awkwardness, he did the best he could. Funny and heartfelt, Archie demonstrates that love is the most important element of a good eulogy. We see Archie and Mike working together despite their differences. Archie learns a little about religious sensitivity, pausing to realize that he wished he knew his friend better. When we think of the essentials of a eulogy, Archie had it. In his case, in any good eulogy, he got out of his skin. It wasn’t about him. It was about the deceased. With that, Stretch was honored and his family remembered him in a way outside of their experience. Archie Bunker’s eulogy is up with the best. Well-done, Archie! Find it online, or, better yet, check it out in the context of the show (All in the Family, Season 7 on Amazon).